Looking for ways to make money at home? Welcome to the club. There’s 250,000,000 people just like you and I (according to Google search results). 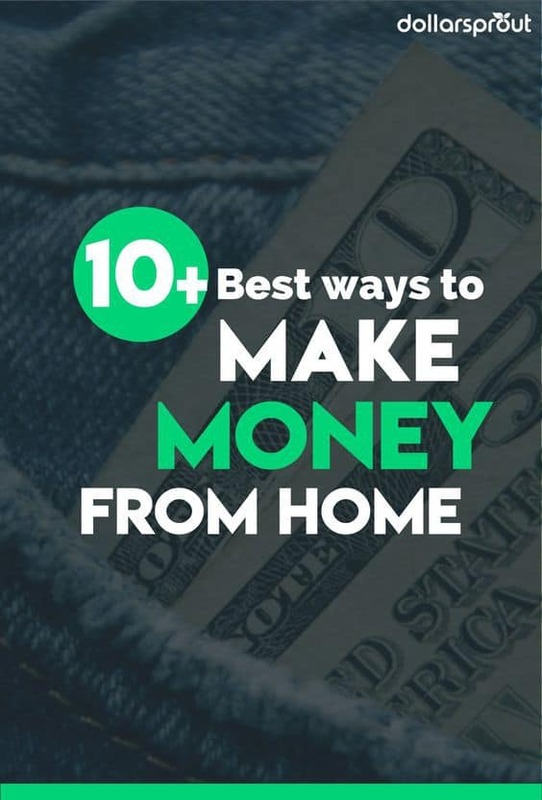 Below I’ll share with you the 10 easiest ways to make money at home. Whether you’re a broke college student who needs a little extra spending cash, or you’re busy adulting now and looking to eliminate credit card debt and increase savings, most of us could benefit from a little more take home pay each month. And whether we choose to admit it or not, our financial situations have an enormous impact on almost every facet of our lives. We like to say money can’t buy happiness, but being tight on cash is never a good feeling. It often means being late on bills, buying cheap groceries that aren’t good for you, or missing out on activities with friends. If you feel like you are a part of this group, there’s some good news- we live in a pretty incredible age. There are opportunities now to make money at home that did not exist even ten years ago. The advent of the internet makes earning money from home a legitimate option for those of us who could use a little extra cash. From getting paid to do online surveys, to opening an online store, to becoming a freelance writer, there are hundreds of ways to make money at home. Will most of these put you into the 1%? Probably not. But if you’re smart, you can use the money you make from these side hustles and leverage it into bigger and better opportunities that will really generate true wealth for you. You gotta start somewhere, though. If I were to make just one recommendation for you to take to heart, it would be to get involved in something you love. Something you’re passionate about doing. That was our thought process when we decided to start a blog. If you’re going to be doing something to make money at home on top of your 9-5 (when you’re already tired from a day’s work), it had better something you really enjoy. If you don’t enjoy what you’re doing, make sure you have an exit plan to move into something that you DO enjoy. Never accept the status quo if you aren’t happy doing what you’re doing. Paid surveys are a real thing, and you can make hundreds of dollars a month doing them. Users are usually notified by email when a qualifying survey is available. As such, I recommend signing up for multiple survey sites so you’re eligible for as many surveys as possible. You won’t earn a living from it, as most surveys pay less than $5, but you can easily earn upwards of $100 a month by mindlessly doing surveys during your Netflix binges. Some even give you a free $5 (or more) just for signing up. Survey sites to help you make money at home: Swagbucks – Perhaps the most well-known and trusted of all the survey sites, users earn “Swagbucks” (also known as SBs) for each survey they complete. Swagbucks even gives you a FREE $10 as an incentive just for signing up. Survey Junkie – Survey Junkie works much in the same way that Swagbucks does. All you have to do is sign up to be eligible for surveys. Once you complete a survey, you earn a certain amount of points that you can exchange for cash paid directly to a PayPal account or you can redeem your points for gift cards. Super simple. Vindale Research – Vindale Research asks for information about you that they then use to match you with fitting surveys. At up to $50 a pop for some surveys and a free $2 just for signing up, it pays to check in daily to see what’s available. Cashouts are through PayPal. Sign up for Vindale Research and claim your FREE $2 here. Inbox Dollars – Cash and simplicity. Those are my two favorite things about Inbox Dollars. After a few minutes of answering questions and watching a couple tutorial videos on how the site works, I had $5 added to my account. Pretty sweet! VIP Voice – You use the points you get from completing surveys to enter into sweepstakes and auctions for great rewards. Prizes include vacations, electronics, appliances, and much more. MyPoints – Rewards members when they shop online, take surveys, play games, watch videos and more. Similar to Swagbucks, they give you a $5 gift card for free after signing up. Harris Poll Online – Start to earn “HIpoints” by taking surveys online. Redeem your points for rewards whenever you meet their cash-out thresholds. Note: HPO periodically shuts down registration to new members (thus the link may not work at times). Sign up for Harris Poll Online for FREE today to be eligible to win $10,000. PanelPlace – Much like the others, PanelPlace offers a platform where you can get paid to give your opinion. They act as a liaison between you and marketing companies and send you paid surveys that you complete and redeem for cash or gift cards. Sign up for PanelPlace FREE here. There are dozens of other survey sites out there; these just happen to be the more well-known ones that have a reputation for paying out in a timely manner/not having impossible standards for cashing out. However, you should always be careful with your personal information. Tip: I recommend using an entirely separate email address for survey sites so you don’t clutter your inbox. Like I said earlier — do something you love. After starting our own personal finance blog, DollarSprout, my business partner and I found that we really had a passion for entrepreneurship itself, which prompted us to start Breaking The One Percent. Starting this blog gave me an outlet to write and give advice to young up and coming entrepreneurs who are just starting out on their own. As you build your blog’s audience, there are dozens of ways that you convert those engaged visitors into actual dollars. Seriously, our blogging business brings in over $17,000 per MONTH. How? Because we enjoy what we do and we’re motivated to make money at home. At the risk of sounding cheesy, blogging has been a dream come true for us. It’s not easy work, but you can definitely start seeing some money come in after just a few months (with the right strategy). Completely new to blogging but want to get started? I recommend starting a WordPress blog (like this one) with HostGator. Use our exclusive coupon code BTOP60 for 60% off. If you’ve already got your blog up and running and are dying to get more traffic, check out our course: The Perfect Pin: How to Create Viral Pins that Drive Insane Amounts of Traffic (we get over 100k monthly visitors from Pinterest alone). If you haven’t gathered by now, writing quality content for viewers is worth a lot of money. To the tune of several hundred dollars for a 3-4 page article. For an article such as this one (about 2,500 words), you could easily pull in a couple hundred bucks. The better you are at writing, the more your content is worth. Even part-time freelance work can add thousands to your monthly income. Don’t believe me? Holly Johnson started doing freelance writing on the side of her full-time job, and in just a few months she made it her new career. Nowadays, she makes multiple six figures writing from home or while traveling with her family. Holly never studied writing or journalism. That’s the beautiful thing about writing for the web — you don’t have to be trained in anything specific. If you can write well, you can make money online as a freelance writer. If this sounds like the gig for you, check out Holly’s free workshop: How to Build a Six-Figure Writing Career. In 2014, Caitlin made over $43,000 by working as a freelance proofreader… PART TIME. Drive during peak hours. This is usually between 6pm-2am on weekends. You’ll be busy, but that’s what you want. Go above and beyond to give your riders a great experience — this will increase your tips. Have a spotless interior that also smells clean. Especially late at night, ALWAYS offer up the AUX cord. Downtown bar hoppers love the AUX cord. Get to know your passengers. Make small talk. Have water and/or snacks on board. Bring a vomit bag (better to be safe than sorry). Drive safe and go the speed limit. Secret tip: Carry change for a $20. You’d be surprised how many more tips you get this way. Sign up to drive with Uber here. If you don’t have a car, you can deliver food with UberEATS with a bike or scooter. Yes, companies will pay you to install apps (or place ads) on your cell phone and leave them there. These apps often run in the background and track your spending/purchasing habits. If you’re not one to really care who knows what groceries you’re buying that week then this is seriously the easiest way to make upwards of $300+/year while doing absolutely nothing. Smart Panel – Some survey sites pay you $5 just for signing up. Smart Panel pays you $15 just for installing their app and keeping it 2 months. Better yet, you get an additional $5 every single month you keep it installed + a loyalty bonus every 3 months. It’s hard to turn down free money and merely installing an app is about as easy as it gets. Nielson Computer and Mobile Panel – Want a shot at $10,000 plus in addition to regular usage rewards? Sign up and you can score a serious pay day just for keep an app installed on your phone. Each site varies, but there are number of companies out there that will pay you to test websites. Companies want to know how easy their websites are to use and the information you give them about the process is extremely valuable. Usually around $8-12 per test (generally between 10-30 minutes) depending on the site. Best part of it is, you are working from home and you are making your own schedule. Its tough to beat that. Chances are, you do at least some of your shopping online. Now you can make money while you do it. Technically you’re not getting money, but you’re getting money back (cashback) on purchases you would have made anyways. Cool thing is, this is on top of any discounts/coupon codes you already have. Sign up for Ebates for FREE. A lot of people have an extra room in their house that they aren’t using. Well, now you can make money off of that space by renting it out. And it’s really easy to do. Services such as Airbnb and Craigslist are excellent for finding potential renters and/or people who simply need to store stuff. This involves very little work on your end, and you can easily add a few hundred (or thousand!) dollars to your income each month. This is passive income at it’s finest. Speaking of passive income….do you have thousands in a savings account earning you .000257% interest? Move your savings over to a bank account that actually pays you a decent interest rate on your savings. Discover Bank’s online savings account pays several times more interest than the national average. Take 10 minutes out of your day and do this- over time, it really does make a difference. 1% APR is just the beginning though. Depending on your age, you should be netting around 7% year with a balanced investment portfolio. Have $50,000 in savings? That is $3,500 dollars PER YEAR that you are missing out on by not investing. It’s also not as hard to get started as you think. For investing, I recommend Ally Invest. Right now they have a promo going on right now where you can start investing in stocks for only $4.95 per trade (one of the cheapest around). 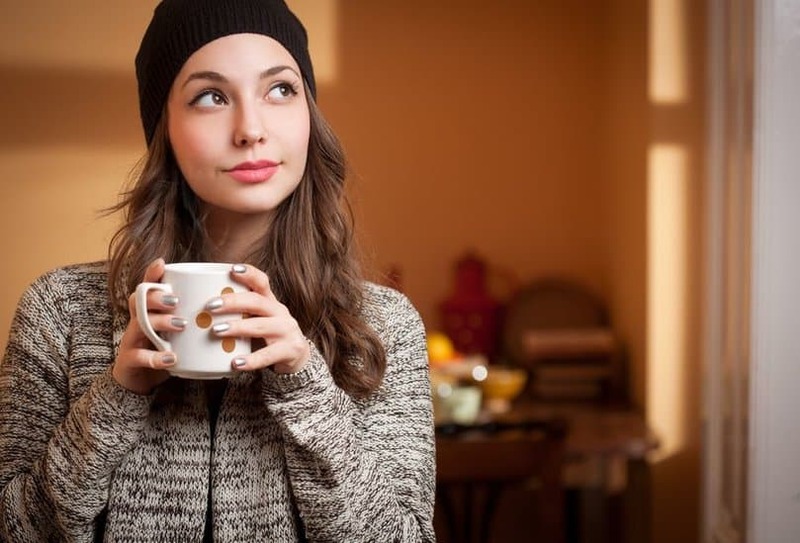 If you’re looking for ways to make money at home and you’re not doing either of the two things above, you’re missing out on thousands of dollars per year that could be in your pockets. Want $110/year for changing literally nothing about your life? Get Google’s Screenwise app here. It works essentially the same way as the phone apps do above. If you don’t care about letting Google know what you do on a daily basis, you can get free money. They use the information they gather to help them market and increase the functionality of their advertising programs when targeting users that are similar to you. Know of more ways to make money at home? Drop us a comment below. How do I go about proofreading? How can I find those opportunities? Love these!! Thank you for sharing! For me, the number 10 is totally new and fresh. And I`m familiar with the rest of your list. How is it working for you omer…..is it worth it? great post, awesome content, thank you ! Thanks Samantha! Be sure to check out our other article with 100+ more ideas 🙂 And let me know what side hustle you’re going to start- I love hearing what our readers are up to! I have had a blog for years and still have not made money from it. And I’ve tired really hard and have put a lot of effort into my blog. I’ve done surveys as well and not made any money from that. I’m wondering if you have tired everything you have put up here. Because you make is seem easy when in fact it is not. Have you put in the work to learn how to monetize your blog? Because after years of owning a blog, you should definitely be making a solid income (even enough to live off of). If you’re not, it’s time to audit what’s working and what isn’t so you can identify what you need to change. Blogging is a business, and you need to do everything you can to figure out how the “game” works. Once you get the hang of it, though, it’s one of the best forms of passive income out there. I’d take a break from pumping out articles and spend a few months studying how the best bloggers are able to make money. Surveys are very easy, but you won’t get rich from them. Consistently doing a few of them each day CAN add up though. Yes, Ben and I have tried the items on this list. And ironically, we now consistently focus only on the hardest thing on from this list (blogging). But, we make far more than $1k a month from it. Probably because it provides the most value to people. If you really want to earn more money in 2017 (more than just a quick buck from surveys or app installs), you need to reverse engineer things and think about what VALUE you can deliver to other people that will be worth the money you want to bring in. Until you do that, you’ll be stuck doing the small stuff. This is a great list. You can really get lost in all of the survey sites! Its frustrating when you spend 5-10 minutes on one, just to tell you that you do not qualify. But joining several sites should help. VIP voice is one I use. The actual surveys lead to ‘points’ that you can bid on. And quite frankly, I haven’t won anything. But I have randomly been picked to fill out a ‘food log’ for a week at a time. I’ve been picked twice in three months, both times paying me $25. I have had a blog for 8 months, but I think I am in such a small niche that I’m not getting much traffic. Great ideas here though! !